Department Chair: Dr. Benigno A. Agbayani, Jr.
Manila Doctors Hospital’s Department of Orthopedics has always been one of the forerunners in Philippine Orthopedics. Its consultants, who are well trained both locally and overseas, are active members in different orthopedic subspecialty societies encompassing the entire range of modern orthopedics. 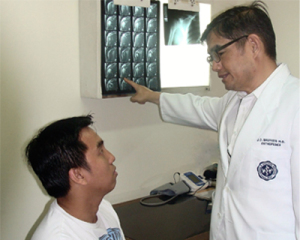 Continually improving to deliver cuting-edge, ethical and competent care, the Department ensures its patients only the best medical attention Manila Doctors has to offer.